Some bad ideas never die. Texas’ top three political leaders — Gov. Greg Abbott, Lt. Gov. Dan Patrick and House Speaker Dennis Bonnen — threw their support Wednesday behind a proposal to increase the sales tax by one percentage point in order to lower property taxes across the state. But that’s only if lawmakers agree to limit future local property tax increases. The proposal would raise the state’s sales tax from 6.25% to 7.25%, generating billions of additional dollars annually for property tax relief, if voters approve a constitutional amendment. But the idea will be a hard sell to Democrats, since the sales tax is considered regressive, meaning lower-income Texans end up paying a larger percentage of their paychecks than higher-income Texans. “Today we are introducing a sales tax proposal to buy down property tax rates for all Texas homeowners and businesses, once Senate Bill 2 or House Bill 2 is agreed to and passed by both Chambers. If the one-cent increase in the sales tax passes, it will result in billions of dollars in revenue to help drive down property taxes in the short and long term,” said a joint statement from the three Republicans. The House Ways and Means Committee was scheduled to take public testimony on the House’s sales tax swap proposal this week but delayed hearing the bills. Rep. Dan Huberty, R-Houston, who authored House Joint Resolution 3 and House Bill 4621, is considering changing the legislation to use a fraction of the additional money generated by the sales tax for public schools — in order to get more Democrats on board. See here for the background and my opinion about this lousy idea. Given that a constitutional amendment is needed for this, it will be easy enough to prevent it from happening. The progressive case against swapping out property taxes, which will disproportionately benefit commercial real estate and wealthy homeowners, for regressive sales taxes, is clear cut, and likely to hold a lot of sway with the current Democratic caucus. There’s also polling evidence to suggest that the public doesn’t care for a sales tax increase. I’m a little skeptical of that, since the question was not asked in conjunction with a potential cut in property taxes, but that’s an argument for the Republicans to make, and given the baked in doubt about anything actually reducing property taxes (for good reason! ), I’d take that bet. HB2 is up for debate today, so we’ll see how this goes. The Chron and Texas Monthly have more. Step two of the process. The Texas House Public Education Committee unanimously signed off on a comprehensive $9 billion school finance and property tax reform bill Tuesday — but only after removing a controversial educator merit pay provision that had angered teachers unions. 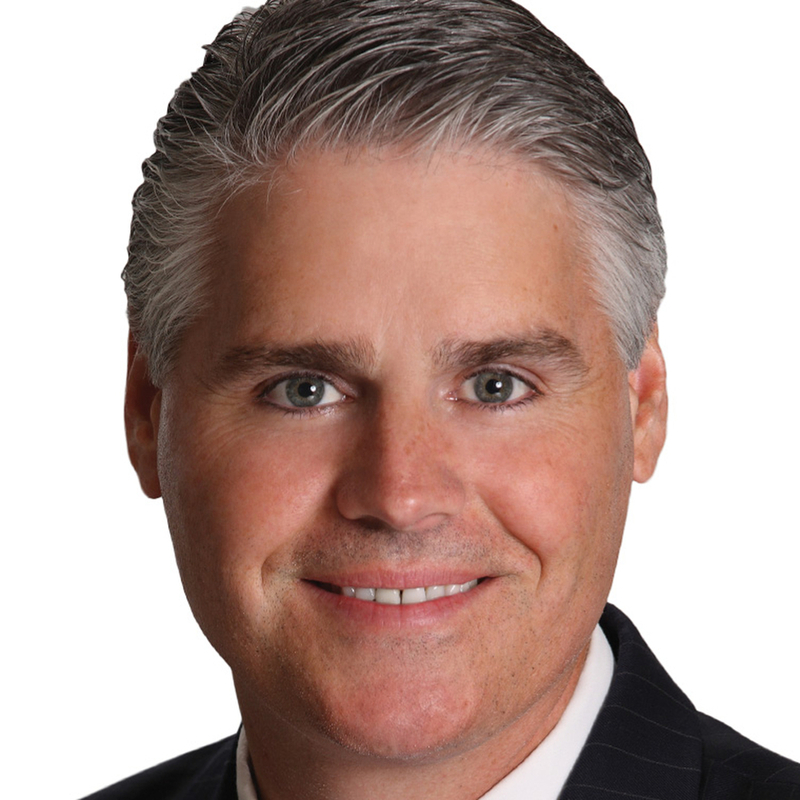 House Bill 3, filed by committee chair Rep. Dan Huberty, R-Houston, would put $6.3 billion into public schools and $2.7 billion into property tax reform. The bill will likely head to the full House soon, where more than 100 have already signed on as co-sponsors. The initial version of HB 3 included money for districts that wanted to rate their teachers and provide the top-rated ones with more money, modeled on a Dallas ISD program that Republican Gov. Greg Abbott has touted. “The language we ended up with to some degree could have been construed as tied to [the state’s standardized test] and created a little bit too much authority as we went forward,” Huberty said, explaining the change in the bill. HB 3 does not include an across-the-board teacher pay raise, with Huberty and Republican House Speaker Dennis Bonnen arguing school districts should instead have local control to decide how to use additional funding. The Senate already unanimously passed Senate Bill 3, which would put $4 billion toward $5,000 raises for full-time classroom teachers and librarians. Educators and advocates have appeared divided in their support for the two bills, which will need to be reconciled in some form later this session. See here, here, and here for some background. Now is when the real sausage-making begins, as everyone agrees that Something Must Be Done, but views differ from there. The most likely scenario is that something gets hammered out in a conference committee in the very last days of the session. It’s hard to say at this point which chamber’s bill, or which provisions of each bill, have the advantage. Sometimes it just comes down to who gets on the committee. Expect there to be a bunch of amendments to both bills as they come to their respective floors, which may bring them closer together and may heighten their differences, with the extra joy of shenanigans and other partisan games always in the offing. It’s stuff like this that makes political junkies what they are. It’s an idea we just can’t seem to quit. Texas lawmakers are considering an infusion of $9 billion to improve public schools and lower property taxes over the next two years. The additional $6.3 billion in the classroom is being billed as a transformational effort to better educate the state’s 5.4 million students, while another $2.7 billion would stem the tide of escalating property taxes for homeowners. “If we’re going to make some strides on these really big items, it really has to happen this session,” said Rep. John Zerwas, R-Richmond, chairman of the influential Appropriations Committee. While lawmakers are confident the state’s booming economy will provide big bucks to spend on public schools, they are also pitching a number of plans to increase the state sales tax in the future. The proposals include hiking taxes on items such as sweet snacks, gasoline, e-cigarette fluid and heavy machinery rentals. But the proposal with the most apparent momentum is a tax swap that would allow local governments to charge a higher sales tax in exchange for reducing property tax levies. Even raising the sales tax by one percent “contributes a lot of money” that school districts, cities and counties could use to offset reductions in property tax revenue, Zerwas said. Some estimates predict such an increase would raise more than $5 billion a year. The statewide sales tax rate is now 6.25 percent a year. Local governments can add up to two percent. Although Republicans are leading the charge with major tax swap proposals, it’s unclear how they will fare in the GOP-led House and Senate, particularly among lawmakers who narrowly won their reelections as Texas Democrats gain ground. Financial implications of the bills are shaky. Several tax bills were filed a week ago, just under a deadline, and have yet to be analyzed by the Legislative Budget Board which predicts financial effects. Increasing reliance on the sales tax troubles Eva DeLuna Castro, a budget and policy expert with the left-leaning Center for Public Policy Priorities. Not only is a sales tax considered regressive for taking more money from low-income people than the rich, but its collections are more susceptible to the ups and downs of the economy, she said. “You need to find a revenue source that doesn’t all the sudden tank on you. Or if you know that it is going to do that, you need to put most of it away for a rainy day and use it when that rainy day comes,” she said. Rep. Drew Springer, R-Muenster, is proposing Texas increase taxes on gasoline and close tax exemptions on items like ice cream, certain baked goods, e-cigarette vapor fluid and over-the-counter medicine. “I don’t think people realize their ibuprofen is tax-free,” said Springer. In exchange, House Bill 2915 would allow the state to lower the maintenance and operations property tax that funds schools. His bill would also increase the homestead exemption to 50 percent of a home’s value. Texans in a home valued at $274,000 would average $1,400 a year in property tax relief, he said, amounting to $6.2 billion less in property tax collections statewide. Another bill, House Joint Resolution 3, proposes inching up the sales tax and using money from that increase exclusively for public schools. The resolution is proposed by Rep. Dan Huberty, R-Houston, the architect of the House’s $9 billion school finance plan. The measure would require a vote in November to change the state Constitution and increase the statewide sales tax, which is now 6.25 percent. Huberty emphasized that raising the sales tax is just one measure under consideration, and that it’s still too early to pencil in numbers. “We have to put more money into the system. It’s our responsibility,” Huberty said Thursday at an event hosted by the Texas Tribune. Rep. Chris Turner, D-Grand Prairie is proposing the state systematically examine each tax exemption every six years to decide whether it is needed. House Bill 3968 will raise revenue by expiring out-of-date tax “loopholes” over time, he said, and is a good alternative to raising sales taxes. This comes up every few years – in 2005, in 2007, in the 2012 and 2014 elections – and each time we confront the fact that swapping property taxes for sales taxes greatly benefits property owners while burdening lower income folks the most. That’s a feature and not a bug, as far as its Republican advocates are concerned. I appreciate that at least this time it’s being proposed in the context of putting more money into schools, which would then have the effect of easing the pressure on local property taxes, but the same problem remains. Rep. Turner’s proposal to evaluate tax breaks also comes up whenever sales-tax-increase bills are filed, and it usually gets quietly ignored as the higher-profile swap bills eventually die. It’s still a good idea, it just never gets any momentum behind it. Rep. Springer’s idea to expand the sales tax to more things also comes up in conjunction with swap bills, and there is merit to this approach as well, though the real money is in taxing services, which is pretty much as big a taboo as an income tax is. To review: I support requiring a process to scrutinize and sunset every tax break we have on the books, and I support at least exploring the imposition of a sales tax on selected goods and services where it is not currently imposed. If the goal of that is to put more state money into public education, and one result is that it allows local governments to ease up on property tax collections because they are no longer trying to make up for the state’s inadequacies, I would consider that a good outcome. The Trib has more. On to the full House, then the real fight occurs. A panel of House budget writers gave initial approval Monday to a budget that would spend $115 billion in state funds, including a $9 billion infusion of new funds for Texas public schools and property tax relief. Now that the House Appropriations Committee has approved the 2020-21 spending plan, House Bill 1, the legislation moves to the floor of the 150-member House. $9 billion in new state funding for K-12 education and property tax relief, contingent on lawmakers passing reforms to the way the state funds public schools. The budget does not dictate the breakdown of those funds, but a bill backed by Speaker Dennis Bonnen would give about $6 billion to school districts and use the remaining $3 billion to pay for a reduction in local school district property taxes. A $2.8 billion increase in state and federal funds for health and human services above what the House proposed in January. That includes a $25 million increase for early childhood intervention services, $6.7 million to reduce caseloads for Adult Protective Services workers, $31 million to expand capacity at local mental health clinics for low-income Texans and $87 million to raise the pay of personal attendants, who care for the elderly and disabled, by about 10 cents an hour. A $168 million expenditure to give some Texas prison guards and parole officers a pay raise. Rep. Matt Schaefer was the lone No vote in committee, so presume that this will get some pushback from the wingnuts. The story notes that the House budget draws $2 billion from the Rainy Day Fund, but it doesn’t specify what it’s used for. There’s more here on the House school finance proposal. The budget is the one thing the Lege absolutely has to do. With some cracks beneath the surface on other “priority” items, it’s nice to see this get a head start. Austin Lawmakers filed bills this week that would strip the School Land Board of its ability to invest billions of dollars on behalf of Texas schoolchildren. The bipartisan legislation, submitted Wednesday, comes amid mounting scrutiny over the management of the $44 billion Permanent School Fund, which is run jointly by the land board and the State Board of Education. The two boards are the subject of a yearlong Houston Chronicle investigation that began publishing Sunday, which found that the fund has lost out on as much as $12 billion in revenue, fueled by anemic returns, skyrocketing fees and questionable investment deals. At the same time, students in Texas have received less annually from the endowment over the past decade, in real dollars, than they did in the two decades prior, even as the overall size of the fund has swelled. The land board’s role has been especially contentious. It manages its portion of the portfolio — now at $10 billion — by collecting the state’s oil and gas royalty revenues and investing them, primarily in private equity. The land board has only three members, often meets behind closed doors, and since 2006 has committed or invested nearly $3.7 billion with companies run by friends, business associates or campaign donors. The bills would end that, revoking the land board’s investment power and returning it entirely to the education board. It would still gather fees from royalties, but pass them straight on to the education board. Five Republican Senate committee chairs have signed on to the legislation, including Jane Nelson, Brian Birdwell, Paul Bettencourt, Dawn Buckingham and Bob Hall. Republican Rep. Ken King has filed identical legislation in the House. See here for the background, and here for the full series published by the Chron. The SBOE had full responsibility for the PSF until 2001, so this would revert things to the earlier setup. Not that the SBOE has been a perfect steward of the PSF, but they’ve been a little better than the Land Board. I would not object to an overall higher level of scrutiny on the whole process. This is at least a step in the right direction. In a statement, Land Commissioner George P. Bush called the proposal a “power grab.” He said he welcomes reforms, but only if they’re based upon sound financial expertise. “Without expert evaluation, the school children of Texas stand to lose,” he said. Bush, who oversees the land board, said after a meeting on Tuesday that he had not read the Chronicle’s reporting and didn’t plan to. “I’m trying a new strategy in 2019 by not reading my media,” he said. He said his office would review the series’ findings and follow up later. Remember when George P. Bush was the fresh new exciting face of the Texas GOP? Boy, those were the days. For starters, it should have more money in it. It was a grand promise, one our forefathers made 165 years ago to all Texas children, to theirs and ours and those not yet born. 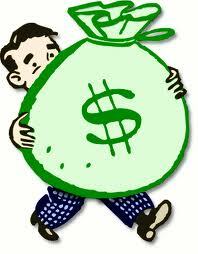 That trust, dedicated to K-12 schools, is now valued at $44 billion, bigger than even Harvard University’s endowment. The Permanent School Fund has failed to match the performance of peer endowments, missing out on as much as $12 billion in growth and amassing a risky asset allocation, a yearlong Houston Chronicle investigation reveals. Outside fund managers have charged the endowment at least a billion dollars in fees during the past decade, records show. Some of them have had professional or personal relationships with Texas School Land Board members, who govern a portion of the fund. And, critically, the fund is sending less money to schools than it did decades ago, in real dollars. The amount dropped to an average of $986 million annually over the past decade from an average of $1.14 billion in the previous 20 years, in inflation-adjusted dollars. Last year, the fund distributed only 2.8 percent of its value — roughly half the share paid out by many endowments. That decline, coupled with a 2 million increase in the number of students over 30 years, has slashed the fund’s per-student distribution. Per student, the fund has paid an average of $207 annually over the past decade compared with $322, adjusted for inflation, over the prior two decades, a drop of more than one-third. According to the Congressional Research Service, between 1998 and 2017, the average payout from higher education endowments has ranged between 4.2 percent and 5.1 percent. If the Texas fund paid out 5 percent of a four-year average market value, as many endowments try to, Texas schools would have received $720 million more in 2018. That’s the opening of part one of a promised four-part series. Here’s part two, in which we find that however the fund is doing, the fund managers are doing great. Since the land board started investing with outside fund managers on behalf of the state’s K-12 endowment in 2006, it has committed or invested nearly $3.7 billion with companies run by friends, business associates or campaign donors. Those donors together have given more than $1.4 million since 2006 to board members or elected officials with the power to appoint them, a Houston Chronicle investigation reveals. And they’ve since charged the fund more than $218 million in fees, records show. While the fees climbed during the past decade, the amount of money the $44 billion Texas Permanent School Fund sends to schools has declined, in real dollars, compared with the two decades prior. Rep. Donna Howard, a Democrat from Austin, said it’s time to reassess how the school fund is managed. Read the rest, and come back for parts three and four. A better-managed PSF would not solve school finance by itself, but it sure would help. Seems like this is a prime opportunity for some high-profile legislation to improve how this works. Not surprisingly, they go bigger than the Senate. With Texas House lawmakers unveiling their long-awaited school finance proposal Tuesday and the Senate’s version likely close behind, teacher pay appears to be emerging as one of the biggest sticking points between the two chambers. House Public Education Committee Chairman Dan Huberty, R-Houston, and House Speaker Dennis Bonnen, R-Angleton, laid out their reform proposal at a press conference Tuesday, calling for raising minimum salaries for a broad group of educators, increasing health and pension benefits, and offering opportunities for merit pay programs. That approach differs substantially from the $4 billion proposal that sailed through the Senate on Monday that would provide mandatory across-the-board $5,000 raises for classroom teachers and librarians. When asked about the Senate’s proposal, which Lt. Gov. Dan Patrick has championed, Bonnen said, “I don’t know how you call a $5,000 across-the-board teacher pay raise … with no discussion of reducing recapture, no discussion of reducing property taxes, no discussion of early childhood education, no discussion of incentivizing the teachers going to a tougher school to teach” a school finance plan. The House proposal, House Bill 3, would increase the base funding per student while requiring school districts to meet a higher minimum base pay for classroom teachers, full-time counselors, full-time librarians and full-time registered nurses. Many districts already exceed the current minimum salaries for educators at different experience levels. It would work hand-in-hand with House Bill 9, filed Monday by the speaker’s brother, Rep. Greg Bonnen, R-Friendswood, which would increase the state’s contribution to Teacher Retirement System pensions over time while keeping active member and district contributions the same. HB 3 would also provide funding for districts that offer a merit pay program, rating their teachers and providing the top-rated ones with more money — modeled on a Dallas ISD program touted among lawmakers. The Senate is expected to include a similar proposal in its school finance bill later this week. The politics surrounding the Senate’s teacher pay raise bill this session are unusual, with Patrick, who has previously clashed with educators, advocating for a proposal many teachers like. Meanwhile, conservative group Empower Texans, a key contributor to Patrick’s campaign, has come out against the bill, with one employeecriticizing conservatives like Patrick for “kowtowing” to liberals. That bill has divided the education community, with superintendents and school boards arguing they need more flexibility with additional funds and many teachers supporting the directed raises. Huberty said Tuesday that the House would “certainly have a hearing on that [Senate] bill” but that the school finance panel that worked to develop recommendations for lawmakers did not include across-the-board raises. He said HB 3 provides more opportunity for local school boards and superintendents to decide how to use increased funding. More than 85 House members have signed on as co-authors of HB 3, and in a public show of support, many of them were present at Tuesday’s press conference. According to the summary, the bill would increase the base funding per student by $890 to $6,030 — the first time that allotment has been raised in four years. It would also lower school district property tax rates statewide by 4 cents per $100 of taxable property value, helping to reduce so-called Robin Hood payments that redistribute money from wealthier districts to poorer ones. The compression could save the owner of a home with $250,000 in taxable value about $100 annually in school district taxes. That method of property tax relief is different than one proposed by Gov. Greg Abbott last year, which would cap annual increases in school districts’ tax revenues at 2.5 percent. There’s also the Democratic proposal, some of which is in HB3. All of this is a starting point, so I don’t want to get too far into the weeds. None of these bills will be adopted as is, and some of them may not get adopted at all. This and the budget will be the last pieces of business the Lege deals with, and the main reason why there could be a special session. We’ll keep an eye on it all. The Chron has more. Sometimes it’s what you don’t say that gets noticed. There’s still plenty of reason to be wary of the property tax proposals Abbott has made, and one reason why there are fewer red meat items on his agenda is that a lot of them – voter ID, “sanctuary cities”, campus carry – have already been passed. I will agree that this was much more temperate than the address from two years ago – there’s no way Abbott would admit this, but I think Rep. Turner is right in his assessment – and there are issues on Abbott’s list that will get broad bipartisan support. Let’s be glad for the small victories, and work to make them bigger. Ross Ramsey, Texas Monthly, and the Observer have more. They’re always a bad idea. Flanked by the state’s top legislative leaders, Gov. Greg Abbott announced Thursday that both chambers of the Texas Legislature will push to curb property tax growth by limiting how much money local governments collect without voter approval. Fellow Republicans Lt. Gov. Dan Patrick and House Speaker Dennis Bonnen, as well as the heads of both chambers’ tax-writing committees, joined Abbott in making the announcement. Their news conference followed the filing of identical bills in both chambers, Senate Bill 2 and House Bill 2. Abbott said it was “completely unprecedented” for lawmakers to be so closely aligned on such an important issue this early in the session. But two Democrats who sit on the House Ways and Means Committee said the proposed legislation is far from being a done deal. And an advocate for city governments said there are plenty of unintended consequences that need to be worked out. Chief among them is ensuring that cities aren’t suddenly unable to afford police officers and firefighters. Thursday’s bills seek to require voters to approve tax rates that allow government entities like cities, counties and school districts to collect an additional 2.5 percent in revenues from existing property compared with a previous year. The threshold would not apply to small taxing units — those with potential property and sales tax collections of $15 million or less. Currently, cities and counties can collect an additional 8 percent in revenues without involving voters. But even then, residents must collect enough signatures to force an election. 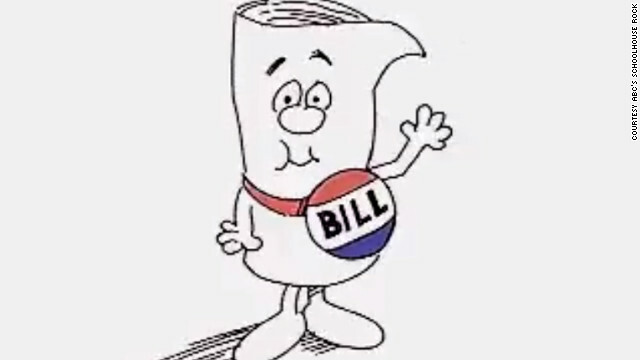 The new pair of bills would automatically trigger what’s called a rollback election. If voters shoot down the measure, the government entity would have to set a tax rate that allows it only to collect revenues from existing properties that are less than 2.5 percent more than the previous year. The rollback rate is also based on the appraised value of properties within a taxing unit’s borders. That means a city or county could hit the rollback election threshold without changing its tax rate — or even if it lowers the tax rate — if there is a significant increase in local property values. The legislation does not apply a cap to individual property tax bills. Because it would limit only how much government entities can collect in property tax revenues before getting voter approval, an agency could stay below the rollback election rate, and that portion of a property owner’s tax bill could still increase. Local officials are almost certain to to push back. 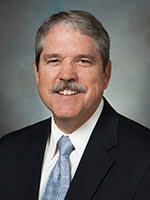 Bennett Sandlin is the executive director of the Texas Municipal League, which advocates for city governments. His organization estimates that about 150 of the state’s largest cities would be affected if the legislation passes. He said that the rollback threshold is lower than inflation and could prevent cities from paying for first responders’ raises, filling potholes, and keeping recreation centers or libraries open. As the story notes, this is more ambitious than what Abbott and Patrick pushed for in 2017, and they’re doing it with smaller majorities. On the other hand, these are the highest-priority bills they have (hence the HB2 and SB2 designations), and they’re no doubt going to go all out. It’s very possible they could succeed. But here’s the thing. This is what they rolled out after making big promises about reforming school finance and giving more money to schools. Did you notice what was missing in this rollowt? They were so tuned in to their harmonic convergence, they didn’t talk much about what their legislation would actually do, leaving the details to the bill sponsors to explain later. They did say they were going for a 2.5-percent growth limit on property taxes in local school districts, cities, counties and other government bodies. It’s aimed at overall taxes, a leash on the overall mix of property values and tax rates that determine what happens to the average taxpayer’s bill. Anything that increases a local government’s property tax revenues by more than that would trigger an automatic November election asking voters for permission. You might wonder how public education is going to get more financial help, as proposed by this same group of elected officials, if the state is going to limit school districts’ ability to levy taxes. The short answer is that the state’s going to pay for it. The House’s proposed budget for the next two years adds billions to what the state is spending on schools. The Senate’s plan doesn’t spend as much, but the increases are significant (and in one case, more specific: Patrick has proposed $3.7 billion in teacher pay raises). Abbott floated the idea of holding down local taxes and tax increases — an answer to loud and persistent complaints about property taxes — and increasing state spending to fill the gap. And Comptroller Glenn Hegar, the fourth official at those weekly breakfasts, has proposed requiring the state to pay at least 40 percent of the cost of public education, along with any increases due to inflation. But they haven’t said where the state money will come from. Nobody in the state government’s high places has proposed raising a tax, cutting other state spending to produce money for education, or weeding through the state’s tax exemptions and loopholes to shore up the state’s share of the public education load. In other words, right now it’s all underpants gnomes. I don’t know about you, but I’m not expecting much more in the way of details about how this is supposed to do all the things they say it will do. I figure the smart money is always on efforts like this to fail, but you never know. Cap local school district tax rates in order to offer property tax relief and a small amount of funding for schools — a proposal from Abbott. The report hasn’t been published yet, so this is all we know. I don’t see any reason to trust Greg Abbott, who is more interested in cutting property taxes than in providing schools with the resources they need, and of course Dan Patrick will be heavily involved in whatever happens. I think the commission has generally good motives and for the most part the ideas are fine, but we could do a lot more, and that’s before we address the huge need for special ed funding. It’s all a matter of our priorities, and of our view of what “fixing” school finance looks like. The Chron has more. This is a very big story, but a key component to it is not discussed here. Houston ISD officials said Saturday the district will need to cut about $200 million from its 2018-19 budget to bring spending in line with an increasingly gloomy financial outlook. In an equally momentous move, Houston ISD officials also proposed far-reaching changes to how the district operates its magnet and school choice systems, some of the boldest moves to date by second-year Superintendent Richard Carranza. Still reeling from Hurricane Harvey, Houston Independent School District officials revealed at a board meeting Saturday that the district is facing a double whammy: A multimillion-dollar, state-mandated “recapture” payment requiring districts with high property values to “share the wealth,” and an expected drop in enrollment and tax revenue because of the devastating storm, which severely damaged schools and delayed the start of classes by two weeks. The proposed cuts come at an inopportune time, with the district battling to stave off a potential state takeover because of 10 chronically under-performing schools. Although the measures outlined Saturday are preliminary and could change significantly before HISD’s board votes on them, officials acknowledged that the district is entering an uncertain time. There’s a lot more and there’s too much to adequately summarize, so go read the rest. We know about the recapture payments, which even though they have been reduced due to Harvey are still significant. We know HISD has been talking about revamping its magnet programs for some time, and there’s a cost-savings component to that as well. We know that property values and enrollment have been affected by Harvey, and we know how daily attendance determines the amount of money the district gets from the state. So none of this is a surprise, though having to deal with all of it at once is a big shock. What’s missing from this article is any mention of what the state could and should do to help ameliorate this blow. I think everyone agrees that if a school building is destroyed by a catastrophic weather event, it should be rebuilt via a combination of funding sources, mostly private insurance and emergency allocations from the state. Why shouldn’t that also apply to the secondary effects of that same catastrophe? It’s not HISD’s fault that its revenues, both from taxes and from state appropriations, will be down. There needs to be a mechanism to at least soften, if not remove, this burden. Bear in mind that one reason why the drop in property values is such a hit is because the state has shoved more and more of the responsibility for school finance on local districts. If Harvey had happened even a decade ago, the appraisal loss would still be felt, but not by as much. That’s not HISD’s doing, it’s the Legislature’s and the Governor’s and the Lieutenant Governor’s, all with the approval of the Supreme Court. But what can be done can be undone. With little to no pain on its part, the Lege could tap into the Rainy Day Fund to get HISD past the worst of this, or it could recognize that the nearly one billion it appropriated last session for “border security” is little more than macho posturing, an endless boondoggle for a handful of sheriffs, and an sharp increase in traffic citations, and redirect some of that money to HISD and any other district in similar straits. There are other things the Lege could do, but all of it starts with the basic principle that the Lege should do something to help out here. When are we going to talk about that? Has Harvey changed anything politically? You’d think it would, but it remains to be seen as far as I’m concerned. A month to the day after Hurricane Harvey made landfall in Texas, the reality of the storm was beginning to sink in on the minds of politicians, policy makers and advocates bracing for a long recovery. In short, any political plans people had pre-Harvey are now moot. Politicians said it’s still too soon to know exactly what the state needs to do to help the areas slammed by the storm cover, such as how much money it will cost to fix schools and roads and invest in such infrastructure to guard against future storms. What policy experts and politicians across the board do know is it could take years for the state to recover. The storm may provide an opportunity for a special legislative session for lawmakers to rethink the state’s school funding formula given property taxes, which schools depend on for funding, are expected to tank in storm-ravaged areas, said state Rep. Dan Huberty, R-Humble. Huberty wants lawmakers to return to Austin for a special legislative session focused on storm relief. In that conversation, they could rehab the state’s school funding formula to level out funding for districts that stand to lose property tax revenue from the storm. Education Commissioner Mike Morath said he’s still undecided about whether to cancel, delay or ease how the state grades schools based on the tests. 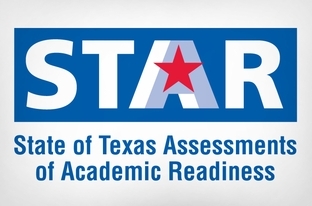 However, his tone changed from last week when he told the State Board of Education it was unlikely Texas would tinker with the STAAR. 1. A special session to address school finance. This can’t be just to make payments to districts to cover Harvey costs that insurance and the feds won’t pay, though that absolutely needs to happen, and it can’t be something that waits till 2019 and is the initiative of the House Education Committee and Speaker Straus, because we already know they’re on board for this. It also can’t be used as a vehicle for pushing through the usual hobbyhorses like vouchers or the new obsessions like bathroom bills. The call would have to include both addressing disaster funding and more importantly the overall inequities of the system. The reason why this would be a change would be that it would demonstrate for the first time that Greg Abbott wants to fix this problem, and it would provide him with the chance to separate himself from Dan Patrick. For a variety of what should be obvious reasons, I don’t expect this to happen, but if it does it will be a real change. 2. Someone loses an election as a result of being unwilling to take positive action to abet recovery. I don’t think this will happen because right now the main obstacle to getting things done is Paul Bettencourt, and he’s not in any position to lose a race. The members of Congress who voted against Harvey aid, whatever their reasons for doing so, are all well outside the affected area. If a special session does happen, then that would create opportunities for people to say and do potentially costly things, but in the absence of such, I any current officeholder has much to worry about at this time. I’m sure there are other possibilities, but these are what come to my mind. Everything else feels like normal business to me. Maybe if the state winds up doing nothing to help cities and school districts cover costs, despite the $10 billion-plus in the Rainy Day Fund, that would count as something having changed, though that’s clearly not what the story is about. I’m open to the idea that “things” will “change” after Harvey, but I’m going to wait until I see it happen before I believe it. House Speaker Joe Straus is asking three House committees to wade into issues related to Hurricane Harvey, including how the state can maximize federal funds and whether to rethink how to grade schools affected by the storm this year. Straus’ other charges include taking a close look at the state’s infrastructure and use of state and federal funds during storm recovery and review the role of regional entities to developing flood control projects. As we know, the TEA isn’t inclined to cut school districts any slack at this time, so it’s nice for the Lege to look at that. I’ll be very interested to see what they come up with regarding infrastructure. As noted before, we authorized a fund for building reservoirs and the like. What are we doing with that, and can we use it for flood mitigation instead of drought mitigation? This seems like as good a time as any to find out. The Trib has more. I doubt they’ll meet a different fate than they did in the regular session, but kudos anyway. The Texas House on Friday passed a package of bills that would put $1.8 billion into public schools and help out struggling small, rural school districts. House members voted 130-12 to approve the lower chamber’s main piece of school finance legislation, House Bill 21, just as they did during the regular session. The House also voted 131-11 to pass House Bill 30, which would fund the school finance bill by putting $1.8 billion into public schools. Once the House gives the measures final approval, they will head to the Senate. The funds cited in the legislation would come from deferring a payment to public schools from fiscal year 2019 to 2020, and would allow an increase in the base funding per student from $5,140 to $5,350 statewide. The House Public Education Committee’s chairman, state Rep. Dan Huberty, R-Houston, the author of HB 21, has pushed his bill as a preliminary step to fixing a beleaguered system for allocating money to public schools. HB 21 would increase the base per-student funding the state gives to school districts, in part by increasing funding for students who are dyslexic and bilingual. It would also gradually remove an existing financial penalty for school districts smaller than 300 square miles, which was originally intended to encourage them to consolidate. The House voted 67-61 Friday against approving House Bill 22, a separate measure that would have continued ASATR for two years before letting it expire in September 2019. Some school districts have warned they might have to close without the program, which totaled about $400 million this year. See here for the first go-round on HB21, and here for the ASATR story. I don’t expect anything to happen with any of this, but I suppose a surprise is possible. The House and the Senate are on such different pages that it seems unlikely in the extreme, though. Five days before the Texas Legislature is scheduled to open a special session, it is clear the relationship between the leaders of the House and Senate remains as strained as it was at the end of the regular session. On Thursday, Lt. Gov. Dan Patrick used a press conference to blast fellow Republican and House Speaker Joe Straus, comparing his education funding proposals to a “Ponzi scheme,” accusing him of laying the groundwork for a state income tax, and complaining that Straus won’t even meet with him one-on-one to bridge their differences. Those comments come almost exactly one month after Straus used a speech in San Antonio to demand the state’s school finance system be added to the special session call and took issue with the Senate’s focus on transgender bathroom issues. And earlier this year Straus had compared the Senate’s budget writing to Enron accounting methods. Patrick said his news conference on Thursday was to roll out new education proposals, including a bonus system for teachers. But much of the focus of the first 10 minutes was on his counterpart in the House and his continued call to have public school finance added to the special session call. Patrick said Straus’ was using education funding as “dangerous political stunt” and accused him of having no plan to pay for the billions of additional funding Straus has said the state should be committing to schools. “Where does that money come from? The only way to do it is a state income tax,” Patrick told reporters. Later Patrick was even more direct. “I will not join the Speaker and lay the groundwork for a state income tax,” Patrick said. “It’s encouraging to see the Lieutenant Governor’s newfound focus on school finance reform,” Straus responded in a prepared statement. “Nothing could be more important in this special session than beginning to fix our school finance system so that we improve education, keep more local dollars in local schools, and provide real property tax relief, just as the House overwhelmingly approved in the regular session,” Straus said. The bathroom proposal would keep transgender people from using multi-occupancy restrooms of the gender with which they identify in government buildings, or at least in public schools. Straus, along with advocates for transgender people and business groups, has voiced concern about the possible economic effect of boycotts because the bill is viewed as discriminatory. He also has expressed a worry that it could hurt transgender people. “I see no good reason to promote a divisive bathroom bill when it does nothing but harm to the economy, and some very vulnerable people could be harmed,” Straus said. Straus, who has been a thorn in the side of Abbott and Patrick on red-meat issues, said he considered it “actually encouraging” that Patrick was talking about school finance. Straus has said that issue is more worthy of attention than most of those on the special-session agenda. On Friday, when Abbott was showcasing his record as he announced for re-election in San Antonio, Straus made his point about the need to focus on core issues by citing CNBC’s annual ranking of America’s Top States for Business. In it, Texas fell from No. 1 to No. 4. The No. 1 state was Washington. Its governor and both senators are Democrats. “While No. 4 is not a terrible place to be, I don’t like the direction. And I think that our Texas political leadership ought to be focused on making Texas No. 1 and reverse that slide,” Straus said. 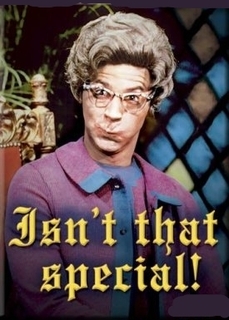 They’re putting the “special” in “special session”, that’s for sure. The Observer has more. Brace yourselves, it starts next week. See here and here for the background. Special sessions are limited to the agenda the governor sets. That has never stopped anyone from filing bills on whatever other subjects they wanted, some good, some bad, and some utterly pointless, because you never know when the governor may exercise his power to add to that agenda. The real question for this session is what happens when some number of Abbott’s bills don’t get passed – indeed, don’t even get a vote. “Sunset and sine die” may be the battle cry, but nothing would stop Abbott from calling everyone right back, as Rick Perry did in the past. How much is enough for Abbott? We’re about to find out. Here’s the full Chron story about Saturday’s re-vote on recapture. About 84 percent of constituents voted “for” HISD’s Proposition 1, giving the school district the green light to send $77.5 million to the Texas Education Agency rather than let the state forcibly remove some of most valuable commercial properties from the district’s tax rolls. The reversal from the “come-and-take-it” mentality followed trustees’ meetings with state officials and lawmakers earlier this year. Board members feared vindictive action from Austin and also had second thoughts about going with the more costly “detachment” option. Christopher Busby, an HISD teacher at the Sam Houston Math, Science, and Technology Center who voted for Proposition 1 on Saturday, said paying recapture was the lesser of two evils. Mark Jones, a political science fellow at Rice University’s Baker Institute, said HISD gained nothing through the two referenda, which cost the district an estimated $1.7 million. Most trustees agree that referendum produced some desirable outcomes – the Senate authorized a work-study committee to look into overhauling the state’s school finance system in January, and Rep. Dan Huberty, R-Houston, proposed a bill that would increase state education spending and lessen the amount districts would pay under recapture. After the November vote, board President Wanda Adams and trustees Skillern-Jones, Anna Eastman and Mike Lunceford grew worried that refusing to pay the state recapture fee willingly would have dire consequences for the district and the board. Trustees Jolanda Jones and Manuel Rodriguez Jr. insisted that the district hold fast in its decision to withhold the recapture money. Otherwise, they argued, HISD risked losing ground in getting the state to rethink recapture and its school funding formulas. Jones with Rice’s Baker Institute said the state’s actions were more likely the result of a May 2016 Texas Supreme Court ruling that found while the state’s school finance formula was constitutional, it desperately needed to be overhauled. 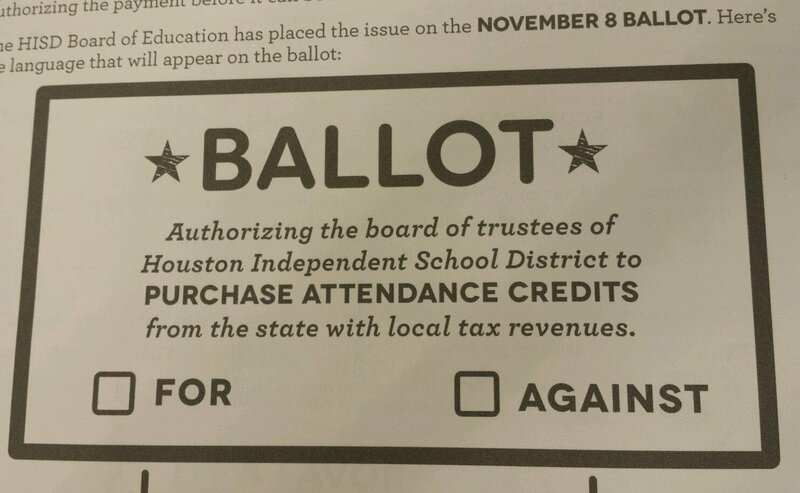 Please note that the November election was required by state law once HISD was put into recapture. Only the May election was optional. As you know, I agree with the trustee’s interpretation of what the November “No” vote meant, and I disagree with Mark Jones. I’ll cite David Thompson as my evidence for that. What happens from here is unclear, but I believe that there is now a greater appreciation of how messed up our school finance system is – I mean, raise your hand if you knew six months ago that recapture funds helped offset state spending on education instead of going to other school districts – and I believe there is a greater consensus about what needs to be done to fix it. Not at the top, of course – we’re never going to get a real fix with the Governor and Lt. Governor we now have – but among legislators themselves. There’s still a lot of work to do – HISD in particular can and should keep pushing the TEA to give it and other recaptured school districts credit for transportation costs and pre-k programs – but progress has been made. I’m happy with the way things played out. The Texas House on Thursday approved a proposal that would phase out an unpopular business tax that provides funding for public schools. The proposal by state Rep. Dennis Bonnen, R-Angleton, would not reduce the state’s franchise tax during the current penny-pinching legislative session, but it would do so in future years. Under Bonnen’s bill, economic growth would trigger reductions in the tax, which currently brings in about $8 billion every two-year budget cycle, until it ultimately disappears. About $1.8 billion in franchise tax revenue in the current two-year budget cycle goes to the Property Tax Relief Fund, which pays for public schools. Democrats, arguing that the tax cut would cause lawmakers in later years to underfund crucial public programs, railed against the proposal for nearly two hours. They offered a series of amendments that would have lessened the extent of the tax cut or redirected funds for college tuition, pre-kindergarten and other priorities, but all were defeated. The final vote took place late Thursday evening at the end of a long day on the House floor, which followed a marathon debate Wednesday over “sanctuary” jurisdictions that lasted until roughly 3 a.m. When Bonnen’s proposal finally hit the floor, few Republicans offered any remarks in response to Democrats’ outrage; most lawmakers in the chamber appeared to be paying little attention. Businesses dislike the franchise tax, often called a “margin tax,” because they say it’s overly complicated and can punish them in less-prosperous years. Because it’s based on a business’s gross receipts, a business can still be required to pay the tax even in years it takes a loss. Many call the tax, which was passed as a way to reform the state’s school finance system, an unnecessary burden, and high-profile Republicans including Gov. Greg Abbott have sought its demise. Lawmakers in 2015 cut the tax rate by 25 percent, which gave them $2.6 billion less revenue to help craft a budget this year. Proponents of the tax’s elimination argue it would stimulate the state’s economy and create jobs. In the short term, it’s difficult to say just how much revenue is at stake in Bonnen’s proposal because the tax is highly dependent on economic conditions. A fiscal note written by the state’s Legislative Budget Board estimated it could cut public school funds by up to $3.5 billion in the 2020-2021 biennium. I mean, look, I know the margins tax was a poorly conceived kludge that everyone hates (or at least claims to) and which has been a top GOP whipping boy for a couple of sessions, but please do keep two things in mind. One, this tax, which replaced the also-hated and seldom-paid franchise tax, was created in 2006 to help fill the revenue void left by the Supreme Court school finance decision in 2005 that led to a mandated across-the-board property tax cut. It was never going to fully fill that void, and indeed its poor design and regular underperformance has been a problem, but it at least made up for some of the funding for schools that disappeared when the previous system was declared to have been an unconstitutional statewide property tax. Something is going to need to replace the revenue lost to this tax being (eventually) eliminated, and all we have right now is wishful thinking about economic growth, a continued reliance on local property taxes, and a handful of magic beans. And two, it’s probably not a coincidence that the amount of revenue lost in this biennium to the previous one’s margins tax cut is almost precisely the amount the House and Senate are arguing about in order to make this session’s budget “balance”. Cause and effect, y’all. You should have one of your interns Google it. State Rep. Dan Huberty succeeded at a difficult task Wednesday: getting the Texas House of Representatives to vote for legislation overhauling the funding system for public education, without a court mandate. After a four-hour discussion of more than 30 proposed amendments, the House voted 134-16 to tentatively accept its top education leader’s plan to inject $1.6 billion into public schools, simplify the complex formulas for allocating that money, and target certain disadvantaged student groups for more funding. The bill must still be approved on a third and final reading in the House. The tentative victory comes after senators approved a budget that cuts state funding for public schools by $1.8 billion in general revenue, and uses local property tax revenue to make up the difference. Huberty’s bill would increase the base per-student funding the state gives to school districts, in part by increasing funding for students who are bilingual and dyslexic. The Legislative Budget Board estimates about 96 percent of districts and 98 percent of students would see more money under the bill. “This is the first time in over 30 years that we have the opportunity to vote for school finance, to make a holistic change,” Huberty said before Wednesday’s vote. Throughout the evening, Huberty successfully moved to table many of his colleagues’ proposed amendments to the bill, either because they would add to the bill’s price tag or because he deemed them irrelevant to his legislation. “This is the school finance bill,” he reminded Rep. Jason Isaac, R-Dripping Springs, who unsuccessfully tried to attach a provision to HB 21 that addressed the testing and accountability system. The House budget allowance for this bill would provide more funding to more school districts for busing, but many legislators expressed concern that the money would be stretched thin because districts that didn’t provide bus service would still receive transportation money. None of the amendments to address transportation funding passed. Rural legislators banded together to add a provision that would help hundreds of small districts with fewer than 1,600 students. The provision, proposed by Rep. Drew Darby, R-San Angelo, would remove an existing financial penalty for school districts smaller than 300 square miles, which was originally intended to encourage them to consolidate. Darby proposed putting all districts with fewer than 1,600 students at similar levels of funding, which he said would increase funding for more than 400 districts. “Almost half the school districts in Texas will benefit from these amendments,” he said. Legislators voted 86-59 to approve Darby’s amendment, despite Huberty’s opposition. See here for the background. The Darby amendment was about Additional State Aid for Tax Reduction, for which you can get some background here. Getting something through the House is a big accomplishment; as the story notes, Rep. Jimmie Don Aycock declined to put a bill forward in 2015 on the grounds that it didn’t stand a chance. Priorities are shifting, and there seems to be a lot of support for finally addressing some of the serious shortcomings in the current system. Which, if it happens, would vindicate the Supreme Court’s decision to not force the issue but leave it up to the Legislature. Assuming that Dan Patrick and the Senate – and Greg Abbott – go along, of course, That’s far from a sure thing, as a brief perusal of the Senate’s budget proposal would show. But it’s a start, and it could happen. That’s more than what we’ve had in a long time. Kudos all around. The top public education policymaker in the Texas House unveiled a $1.6 billion plan on Monday that he described as a first step to overhauling the state’s beleaguered school funding system. At a Capitol press conference, state Rep. Dan Huberty said House Bill 21 would boost per-student funding for nearly every public and charter school in the state while reducing the amount of money wealthier school districts are required to give up to buoy poorer ones. The state’s so-called Robin Hood plan has become a hot-button political issue as large districts like Houston have recently had to begin making payments. 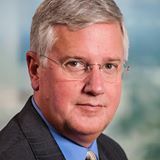 “House Bill 21 will not only improve our schools but it will also reduce the need for higher property taxes,” said Huberty, a Houston Republican who chairs of the House Public Education Committee. He said HB 21 would increase the basic funding for almost all school districts from $5,140 to $5,350 per student per year. That would happen in part through an increase in transportation funding by $125 per student for all school districts, including property-wealthy districts that currently have limited access to that money. It also would increase the amount of money the state gives to schools for students with dyslexia. And it would include additional funding for high schools and non-professional staff. Huberty estimated it would lower payments that property-wealthy school districts pay to the state to subsidize property-poor school districts by $163 million in 2018 and $192 million in 2019. As the state’s share of school funding has decreased, more school districts with swelling enrollment are on the hook for such Robin Hood payments. The bill is similar to an unsuccessful school finance initiative filed in 2015 that would’ve injected twice as much money into the system — $3 billion — and boosted per-student funding across the board. Still, $1.6 billion is a significant sum amid the current budget crunch. This bill had a hearing yesterday as well, and despite being overshadowed by the sound and fury of the bathroom bill hearing, there was a report about it. The bill would inject about $1.6 billion into the public education system, boosting funding for almost every school district in the state although a few would be left out. It also wouldn’t renew a soon-expiring program that awards supplemental state funds to more than 150 districts to offset a decade-old property tax cut — a major concern for education officials who depend on the funding. A provision in the bill that would award some grant money to make up for the loss isn’t enough, they told the committee Tuesday. “My districts are going to lose,” said Mike Motheral, executive director of the Texas Small Rural School Finance Coalition. He said he represents 14 West Texas school districts that could lose up as much as 53 percent of their state revenue with the end of the state aid program. “One of my districts will lose $4.5 million and they have a $10.5 million budget,” he said. When the Legislature reduced property taxes by a third in 2006, it guaranteed school districts like the ones Motheral represents at least the same amount of funding they received in 2005-06 through a state aid initiative. The extra aid expires Sept. 1, so many districts have been asking for an extension to avoid falling off a funding cliff. About 156 school districts currently receive such aid. As written, the bill proposes letting the initiative providing extra state aid expire and instituting a $100 million two-year grant program, prioritizing districts that would lose money through the new funding formulas. That’s not enough to cushion the blow, school officials told the committee Tuesday. Numbers released Monday along with the bill show that about 35 of the state’s 1,200 school districts and charters would lose funding in 2018 and 58 would lose funding in 2019. The rest would see basic funding increase from $5,140 to $5,350 per student annually thanks to an increase in transportation funding and more money for students with dyslexia. Many school officials and advocates who testified on the bill Tuesday said it leaves too many behind. “We want a bill that has no losers,” said Christy Rome, executive director of Texas School Coalition, which represents mostly wealthier school districts. Here’s HB21. I agree with Christy Rome and Mike Motheral. There shouldn’t be any losers in this. As much as HISD and the other districts affected by recapture should be made right, it should not come at the effect of these other districts. The right answer is the put enough money in to fix the formulas. Easy to say, and Lord only knows what kind of reception this gets in the Senate. But this is what it comes down to, and what needs to happen. The Chron has more.